The monumental complex of the Holy Mount and the Sanctuary the Blessed Virgin of Salvation of Ossuccio stands on the western bank of the Lake Como, in front of the Comacina Island, and it is located along a trail of about a kilometer. It was built in the XVII century and in 2003, it was included in UNESCO’s World Heritage. 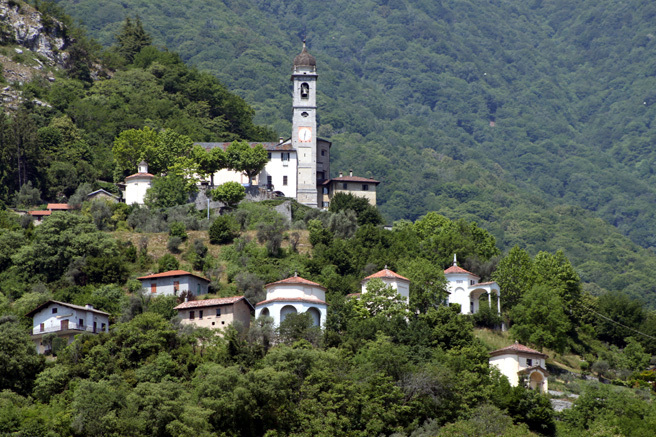 During the visit it is followed the devotion path of the Holy Mount, divided into fourteen chapels which represent some examples of the Baroque architecture, built in the XVII century that contained stuccos, frescoes and 230 big polychrome terracotta statues, works of some artists of the Intelvi Valley, Lake Como. The path leads than to the Sanctuary of the Blessed Virgin of Salvation of the XVI century, built in honor of the statue of the Virgin whom was attributed some miraculous abilities.